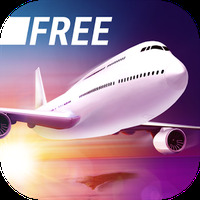 "Try this flight simulator with excellent graphics"
Game Goal: This is a realistic flight simulator with which you will demonstrate your skill by flying different types of aircraft traveling around the world. How to Play: You'll have to take off, fly and land without accidents to try to complete numerous missions, in addition to customizing planes and even opening your airline to expand your fleet. Graphics: The graphics stand out for their detailed 3-D scenes and especially for their great realism in aircraft and booths as well as having great fluidity throughout the game. Game play: There are a total of 21 real planes with which you can complete 44 civilian, military or tourist missions, and can travel to up to 21 airports around the world and under different weather conditions. Languages: Multi-language interface which supports Spanish, English, German, French, Italian, Portuguese, Russian, Chinese and Japanese. 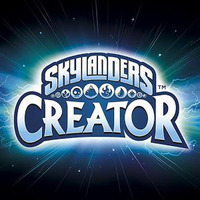 Developer: astragon Entertainment GmbH is based in Germany	- Reputable developer. Installation requirements: A minimum of 30M of free memory space and Android 4.4 or higher. Rating: The TOP 1 Most popular games in Airplane Landing Games category. Ranking: The TOP 5 Most downloaded games in Airplane Landing Games category. The controls are simple and accurate. Graphics and animations are very well done. The game is very realistic and addictive. Takes up a lot of memory space. Only compatible with the latest Android versions. Do you like Take Off Flight Simulator?